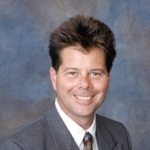 Dave is a registered representative and investment advisor representative with SagePoint Financial, Inc. He has been engaged in the investment banking or securities business since 1990. Prior to making a career switch to the securities industry, Dave held various sales and marketing positions with Fort Dodge Animal Health, a division of Wyeth / American Home Products. His last position was Managing Director of Asia, which gave Dave a broad understanding of international business. Dave`s experience in investing for close to a decade allowed him to pursue his goals of a career in the investments field. Dave received his Bachelor of Science degree in Agriculture Economics from the University of Maryland in 1980. He lives in Cardiff with his wife Vicky and daughter Jenne. "Being a business person for many years helped make me a better investor, and by being an investor it helped make me a better business person."